The cross country ski waxless “skin” bases, use inserted mohair strips on the ski bottom, which are extremely effective for all temperatures and snow conditions. It is high performance waxless base technology for the classic skier, who prefers to use a waxless ski. The ski strips are like small climbing skins and they are resistant to icing because they have a Teflon-like coating. There are conditions where a de-icer should be applied to the skins. There are anti-icing solvents that do not degrade the glue (which holds the skin to the ski) but it is best to get an anti-icer made by a ski manufacturer to avoid damage to the skin and the glue. Specific cross country ski models that have a flex that are created in conjunction with the skin material, which rides above the snow in the glide phase, are easy to press down for excellent grip during the kick phase. At Fischer, there are skin skis up and down the product line. The Twin Skin skis have two separate skin strips arranged in offset positions and with variable base-depth integration result in smooth and balanced gliding. These mohair skins ensure you can rely on the kick action, especially in hard or icy conditions and thanks to the unique Teflon coating of the skins, moisture absorption and subsequent icing is completely minimized. Technique, temperature and snow composition all have an influence on ski performance but with all TURNAMIC® binding models, which provides tool free adjustment skiers can better match their individual needs. Sliding the system forward provides more grip, while sliding it back will noticeably improve glide. With the optimized setup of the boot-binding-plate-ski components, TURNAMIC® gives you dynamic skiing performance like never before. FLOWFLEX® technology enables the ski to flex freely. I own a pair of Twin Skin skis and I’ve found that these skis glide better than other skis that I’ve owned in the past. At the same time, the skis have not lost the ability to climb up hills. The TURNAMIC® binding has a user-friendly entry mechanism providing individual adjustment possible in seconds and tool-free. The bindings quickly slide onto the plate without the use of tools. When it’s time to ski, the Turn Lock mechanism can be operated even with a gloved hand, making entry and exit easier than ever before. The Rottefella Move binding when it arrives in the USA, will provide even easier dial-oriented adjustments.The Fischer Twin Skin Superlite EF provides a lightweight all-around ski featuring Efficient Forward, which gives the skier an easier, more forgiving kick action and smooth gliding. The lightweight fitness sport skis come in traditional length to glide easily on the trail. The Rossignol R-Skin Ultra features a replaceable mohair insert, and the waxless R-SKIN base structures offer an easy, consistent kick and maximum glide with no additional prep work necessary. The Rossignol ski is built with a Nomex Honeycomb construction for an accessible mohair skin classic ski for fitness-oriented skiers. The R-Skin Ultra not only offers a bit more width than a traditional race-oriented classic ski giving a more stable platform, but it also has the same high quality base as Rossignol’s top end race skis, and a great new graphic. Compatible with the Turnamic® binding system, the new Integrated Fixation Plate (IFP) allows the most natural ski flex for unparalleled snow feel, precision, and glide. Replaceable mohair inserts reportedly provide 100-150 days on the snow before they might be replaced. With the Atomic Pro C2 Skintec, prepping and handling couldn't be easier thanks to its Skintec technology. There's no need for kick-waxing - instead mohair grip zones produce excellent kick and glide in all snow conditions and temperatures. And you can replace the grip zone after heavy wear. Atomic has added a high-quality base, race grinding, a sportive sidecut and a flexible tip for an easy slide-in and glide. This year they've also given the series a facelift with a cool new design for the track. 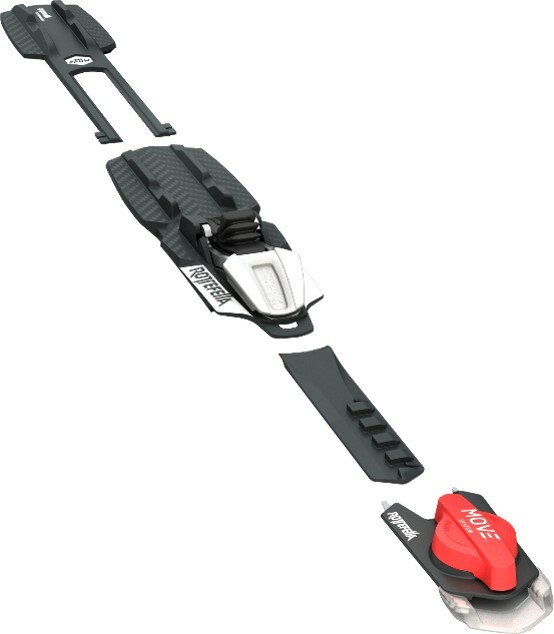 A suggestion is to find a cross country ski area or ski retailer that has a demo fleet of skin type skis from any product company and give them a try. Play with the binding settings on the ski binding to see the effect from adjustments on grip and glide. Expect the ski to perform better than you have ever experienced.